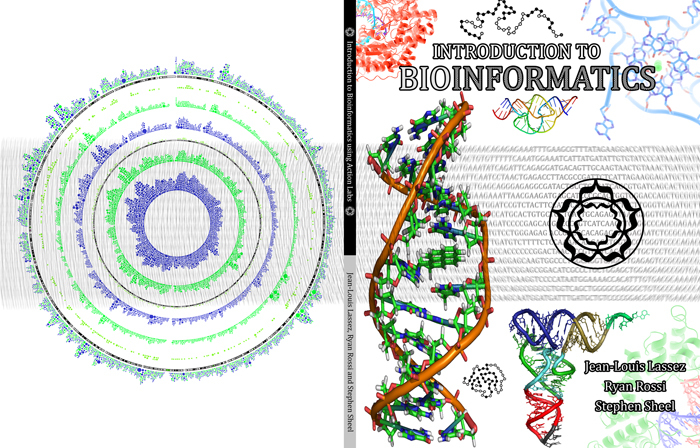 Below you can find an Introductory Bioinformatics book that I wrote with the help of Jean-Louis Lassez and Stephen Sheel. Bioinformatics is the application of computational techniques and tools to analyze and manage biological data. This book provides an Introduction to Bioinformatics through the use of Action Labs. These labs allow students to get experience using real data and tools to solve difficult problems. The book comes with supplementary powerpoints, papers, and tools. The labs use data from Breast Cancer, Liver Disease, Diabetes, SARS, HIV, Extinct Organisms, and many others. The book has been written for first or second year computer science, mathematics, and biology students. The book is published by the Digital University Press.